The self-cover edition of the I'm Safe! 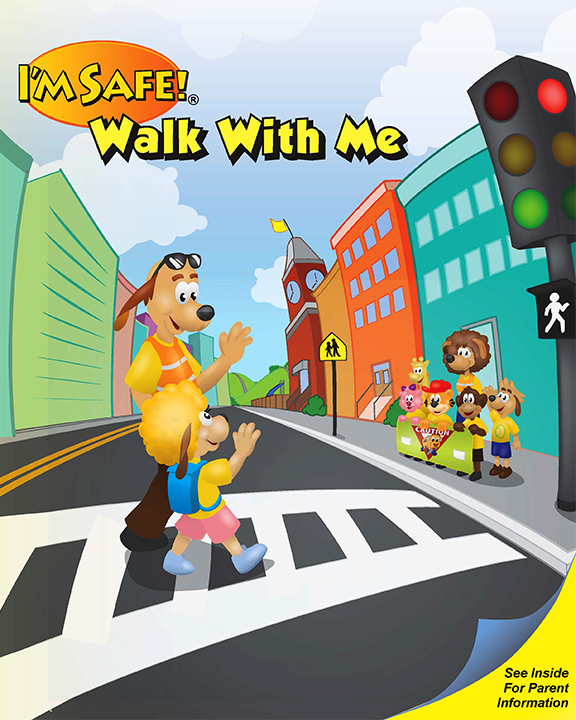 Walk With Me Activity Coloring Book is a cost effective way to inspire kids and parents to become safe walkers with fun, interactive pedestrian safety activities. The self-cover edition also includes our new "One Minute Safety Challenge" which is a great way to help parents, help their kids understand what it takes to be a safe walker. Take a look inside. You can have your own customized version of the I'm Safe! Walk With Me Activity Coloring Book complete with your logo and contact information on the front and back covers. We can also include local maps showing walking and riding routes to local schools to support Safe Routes to School programs and events. Call 1-877-669-7233 to see what we can do for you! Need crayons? Click her to see our great prices on custom or standard packages of crayons. Details: 8" x 10", 16 pages, full color self-cover, black and white interior. Do you need a different language? Call us and we will be happy to help you!